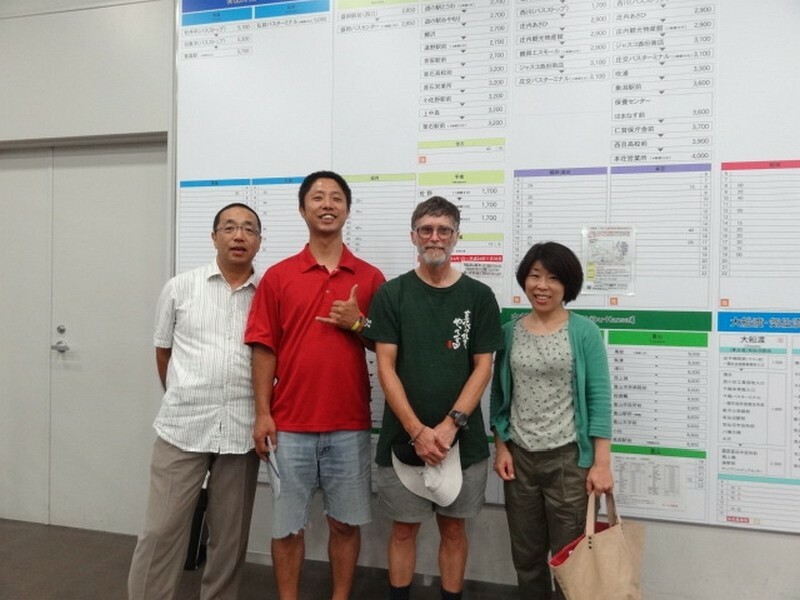 Akemi, Tada, and Akira (who I met in Minami Sanriku) go for a farewell meal in Sendai City, to an all-you-can-eat restaurant. It is nice, but it encourages gluttony! Later we visit the main shopping arcade where the Tanabata Festival is in progress. It goes the entire length of the arcade, perhaps a kilometer long. Tanabata (七夕?, meaning “Evening of the seventh”) is a Japanese star festival, originating from the Chinese Qixi Festival. It celebrates the meeting of the deities Orihime and Hikoboshi (represented by the stars Vega and Altair respectively). It is a rather complicated story so see…. http://en.wikipedia.org/wiki/Tanabata if you want to learn more. 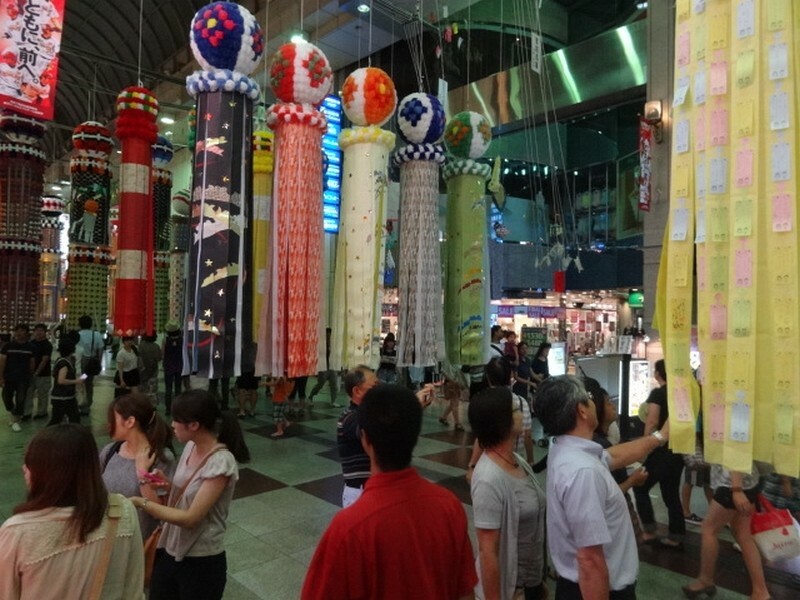 Tanabata Festival, hanging streamers decorate the entire length of the arcade. 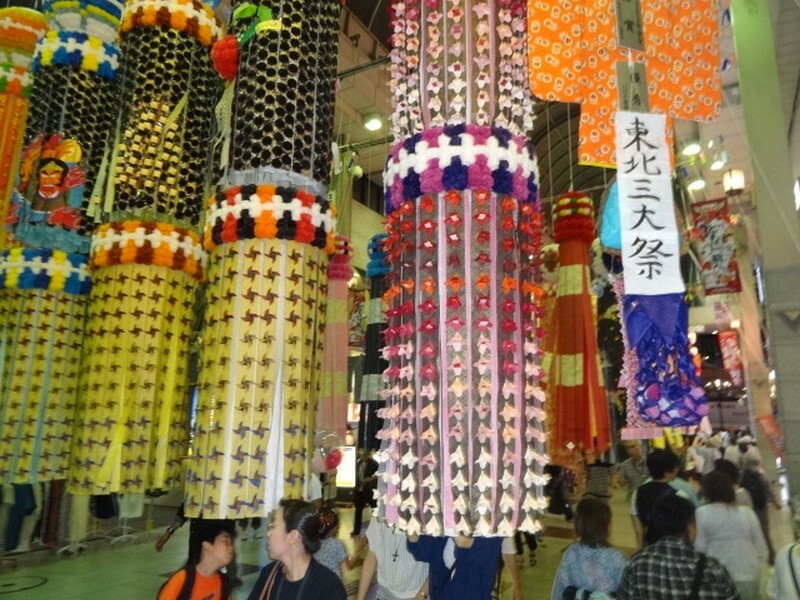 The most famous Tanabata festival is held in Sendai in early August. Competitions are held to make the best streamers. 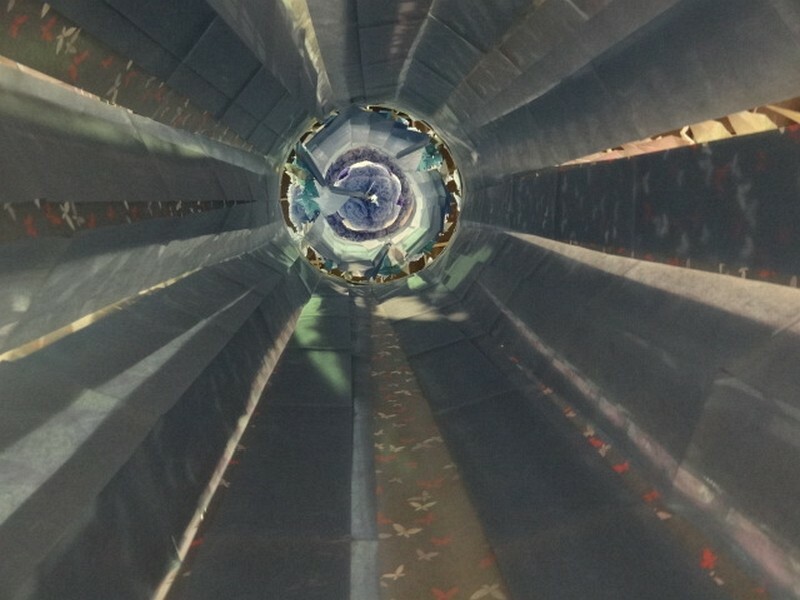 The inside of the hanging streamers. The bus will soon depart so time to say goodbye. Not least to my mamachari who must remain in Japan. I hope Akemi can find a good home for it. At the bus station waiting for the night bus to Tokyo. Including a Japanese flag in this photo would have been better. 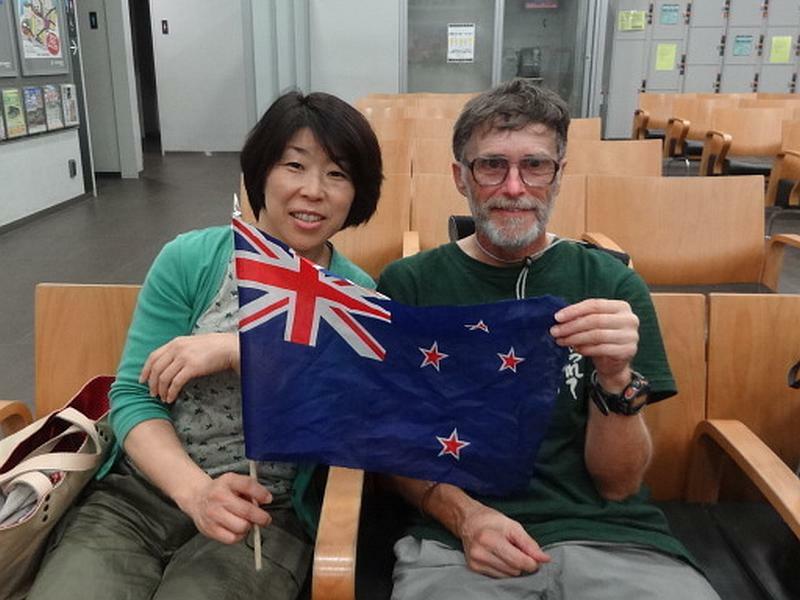 I want to say a special thank you to Tada and especially Akemi, for all your kindness during my stay at Okada.